On June 23rd, the citizens of the United Kingdom voted to leave the European Union. The decision was rather unexpected and left the nation in abyss about its future relationship with EU member states. The fate of airline industry is also shadowed because after withdrawal new aviation arrangements will have to be put in place. What are the available options and how will the UK carriers adapt? Traditionally, aviation agreements have been negotiated on a bilateral basis between countries, regulating carriers rights to operate on new routes. However, since the 1990s, the European Union has liberalized the aviation market and has taken a prominent role in negotiating aviation agreements among member states. Currently, any UK airline can operate to EU country without additional legislation process, but the situation will change after Brexit. “Once the UK leaves the EU, and absent an agreement being put in place, those traffic rights would cease,” claims Sue Barham, Partner at law firm Holman Fenwick Willan. Aviation experts claim the United Kingdom has three aviation regulatory options after the Brexit. The UK could remain a part of European Common Aviation Area (ECAA) like Norway, negotiate a separate Open Skies agreement with the EU like Switzerland or revert to bilateral agreements that were common before the liberalization of the market. Membership in the ECAA would provide the United Kingdom access to single aviation market, allowing to conduct flights as usual. However, this option requires acceptance of EU aviation laws and would limit freedom of the UK’s own aviation policy. “A model based on the ECAA requires the UK to adopt and apply the suite of regulations, such as safety, economic, consumer protection, etc. by which it is currently bound,“ explained Sue Barham. An alternative to membership of the ECAA would be a bilateral treaty between the UK and EU – similar to what Switzerland has – its air transport agreement regulates freedom of the movement between the parties. “This option would preserve some policy freedom on UK-law makers, but the UK would have no influence over policy making in Brussels”, explains Anaelle Miriam, Corporate Communications Assistant at IATA. Lastly, the UK could have a full freedom of discretion and negotiate bilateral agreements that would be limited to market access with member states. However, experts claim that the option is least likely to happen. “There is simply too much EU regulation of aviation – most of which is beneficial and provides a cohesive, uniform system of international regulation – to unpick it all and try to revert to legislating on a national level,“ concludes Sue Barham. However, the referendum has brought a large portion of uncertainty, therefore the government should consider, how much leverage the country wants to have in the new aviation treaties, as well as the timing of the signings. “UK aviation will benefit from a timely solution which sets out clear positions. In this light, adopting a strategy of negotiating multiple bilateral arrangements may result in extending the uncertainty,“ says Keith Beattie, Partner at law firm Burges Salmon. In theory, the UK will be able to start from the scratch when negotiating new arrangements. Perhaps, new treaties will be more advantageous to UK airlines? Law experts claim that the carriers may push the government towards an agreement that would benefit the airlines, rather than their customers. One example is regarding consumer rights regulation. At the moment, carriers have to pay large amounts in compensations for flight delays. Sometimes, they do not have the control over the matter, but have to pay nevertheless, therefore UK airlines may push the government towards lower consumer rights protection regulation. “It may be possible that UK airlines can benefit from a more relaxed regime in relation to consumer protection but it would be a bold political move for the government to push through weaker consumer protection in favor of the commercial positions of the airlines,” says Keith Beattie. While the fate of the UK‘s aviation policy may be clouded, the near future does not suggest of any sudden changes. “Until we negotiate the terms of our exit from the European Union and look at all of the detailed arrangements, we remain an EU member state with all of the rights and obligations and there will be no immediate changes,“ states Jack Griffith, Communications Director at UK‘s Department for Transport. The government of the United Kingdom is not the only surrounded by the post-Brexit fog. The uncertainty shadows UK-based carrier’s plans as well. Even though London-based easyJet will not be affected on routes to and from the UK, it will have to acquire an Air Operator Certificate within the member state in order to operate flights to EU countries. The representatives of easyJet confirmed the plan to acquire European AOCs, but could not give any more details. “At this stage, we cannot go into further details other than this as it is too early,” said Katie Kershaw, Public Relations Manager at easyJet. However, she noted that the airline has the UK and Switzerland‘s AOCs and is lobbying to ensure deregulated aviation market between the parties. Since around half of Irish-based Ryanair‘s shares is owned by investors from the UK, their rights might cease to be valid. This is because the access to open European skies is granted for airlines with at least 50.1% ownership EU or EEA shareholders. In order to deal with the situation, the carrier might have to resell some of its stock. But if the airline remains a European carrier, it will have to acquire a UK AOC, in order to conduct flights from the country mainland Europe. “We may apply for a UK AOC in order to continue our UK flights as at present,” said Ronan O’Keeffe, Communications Manager at Ryanair. While the future is still uncertain, Ryanair’s representatives stated, that the carrier likely will not base additional aircraft in the UK in 2017. However, not all the airlines will have to changes their plans drastically. London-based Monarch Airlines has been less affected by the outcome of the referendum than some other airlines because it does not have any mainland EU bases and 85% of their customers are UK citizens. “However, as with others, we will be affected by changes in consumer confidence, exchange rates, and other anticipated short-term shocks to the economy,“ says David Page, Head of Communications at Monarch Airlines. The vote to leave the European Union has put the UK government in an unenviable position, as the country will have to put new arrangements in numerous sectors, airline industry including. 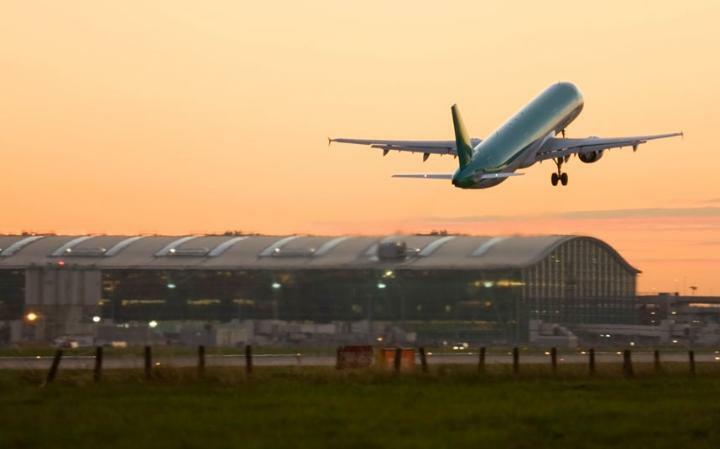 The new agreement between the UK and EU aviation authorities is likely to the one that will give carriers’ the same traffic rights and will apply the vast majority of the EU regulation. At the moment, membership at the ECAA looks like the most viable option. However, if the UK leaves the European Economic Area, EU-UK Open Skies treaty is the most likely outcome. While the uncertainty clouds the post-Brexit UK aviation, it remains clear that if the UK indeed withdraws from the EU, there will be a pressure from all sides to make any sort of agreement as soon as possible.